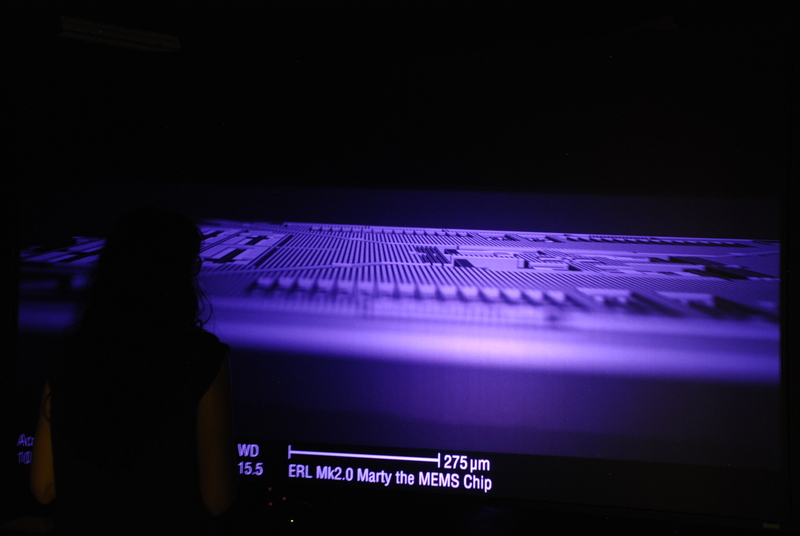 Published October 21, 2013 at 3872 × 2592 in MEMS Demo. A model of a MEMS accelerometer, a tiny sensing device that cellphones use to determine orientation, among other things. This interactive flythrough also demonstrates shader techniques including tilt-shift depth of field to simulate the aesthetic of nanoscale imaging.